JRP implements Quality Management System to improve the performance by creating a customer focus and continual improve corporate culture for the benefit of our clients, staffs and fellow professionals. 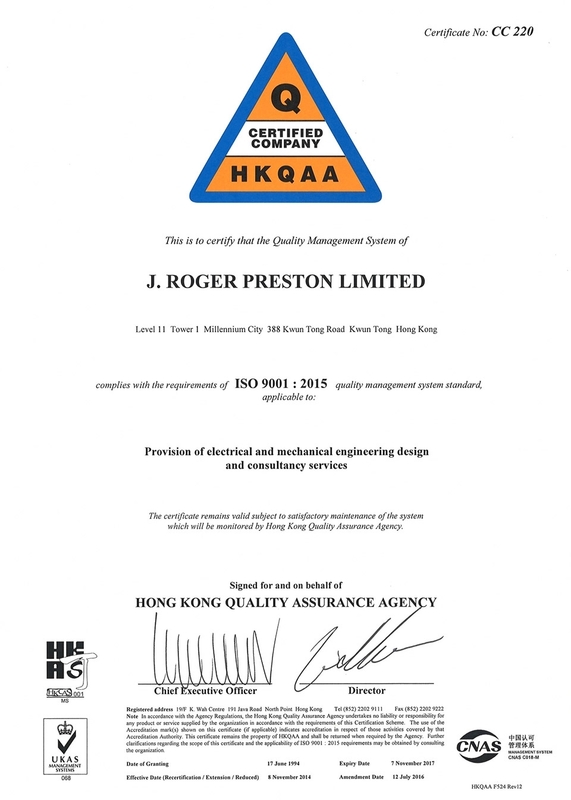 JRP is the first Mechanical & Electrical / Building Services consultant in Hong Kong certified to ISO9001 and has a long established reputation and track record for providing professional services at the highest quality. In 2016, JRP has been certified to ISO 9001:2015. All person working for or on be half of JRP are committed to best serve the interest of our Clients by providing efficient and effective services which fully meet their objectives as well as the statutory and regulatory requirements. Also, JRP promotes the risk-based thinking and address the risks and opportunities that can affect the conformity of the service in quality aspect.